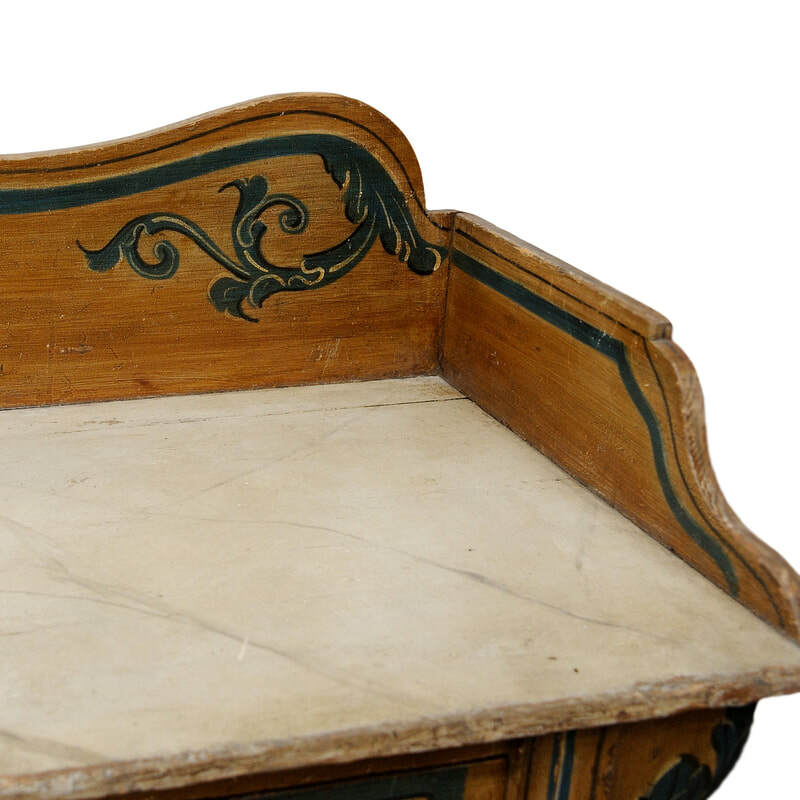 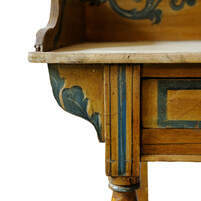 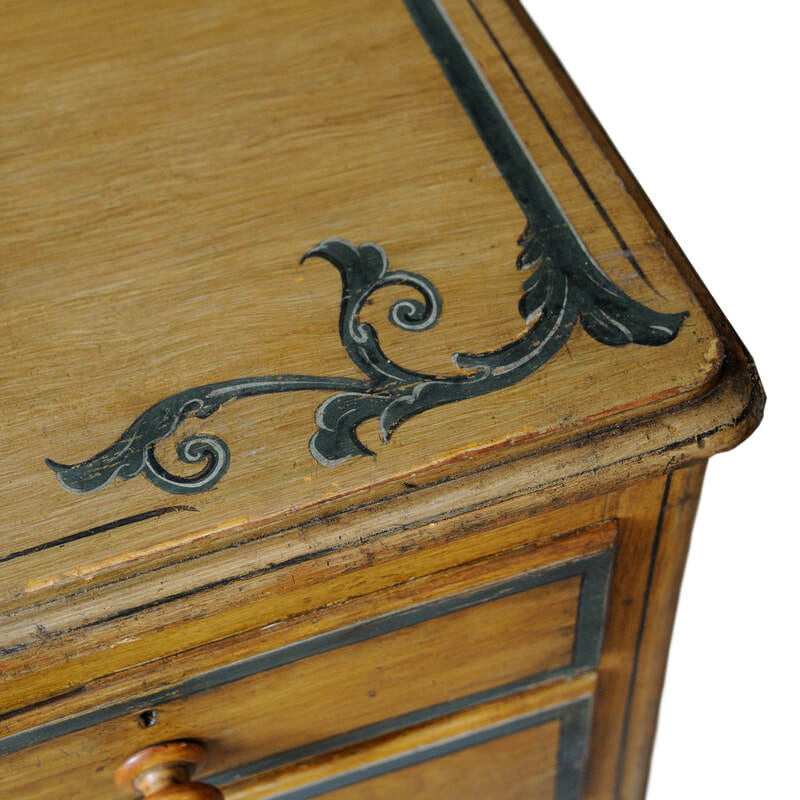 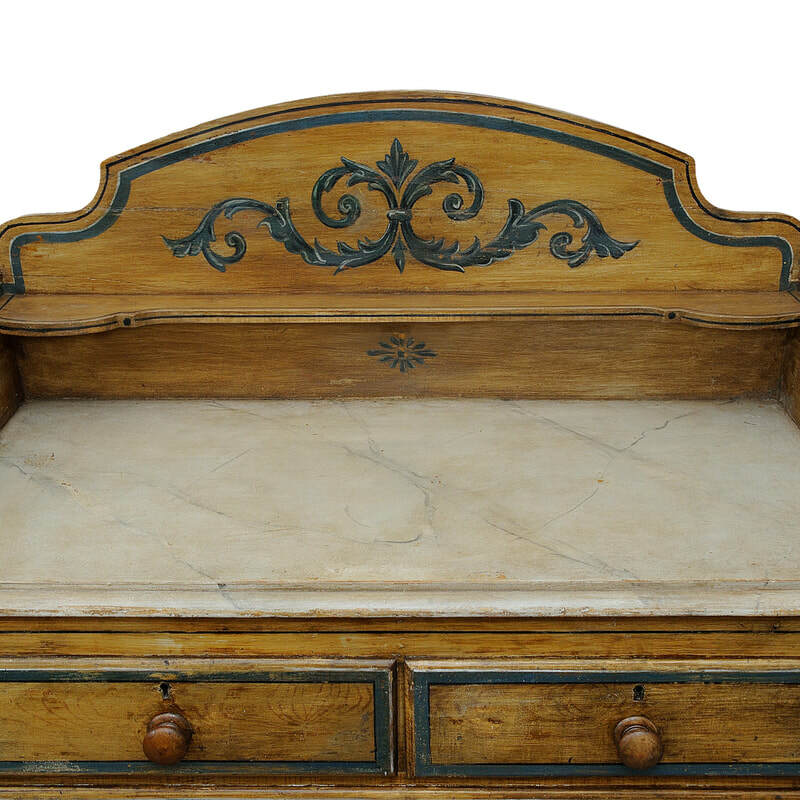 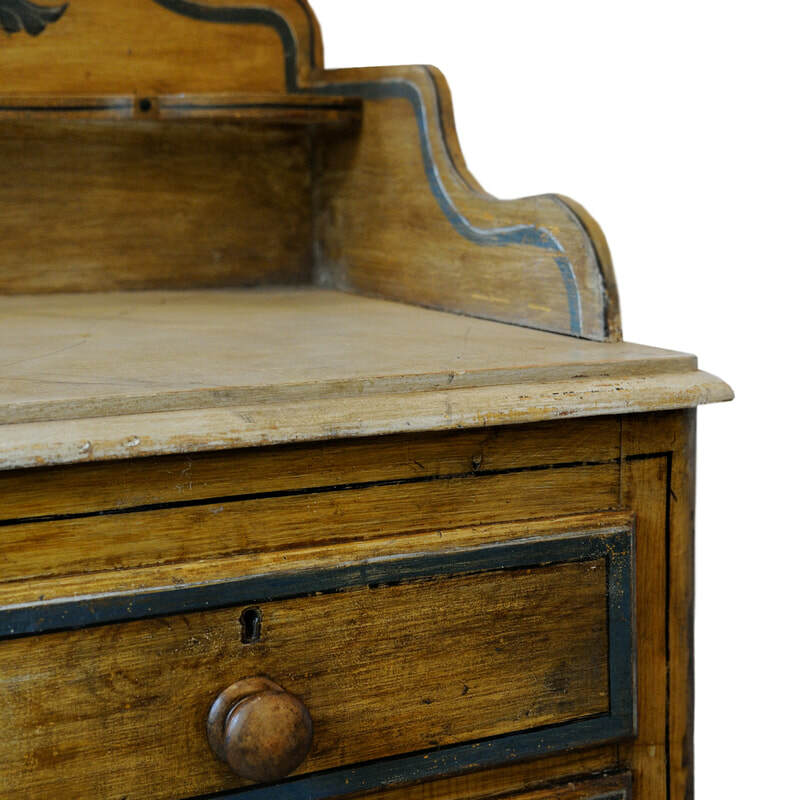 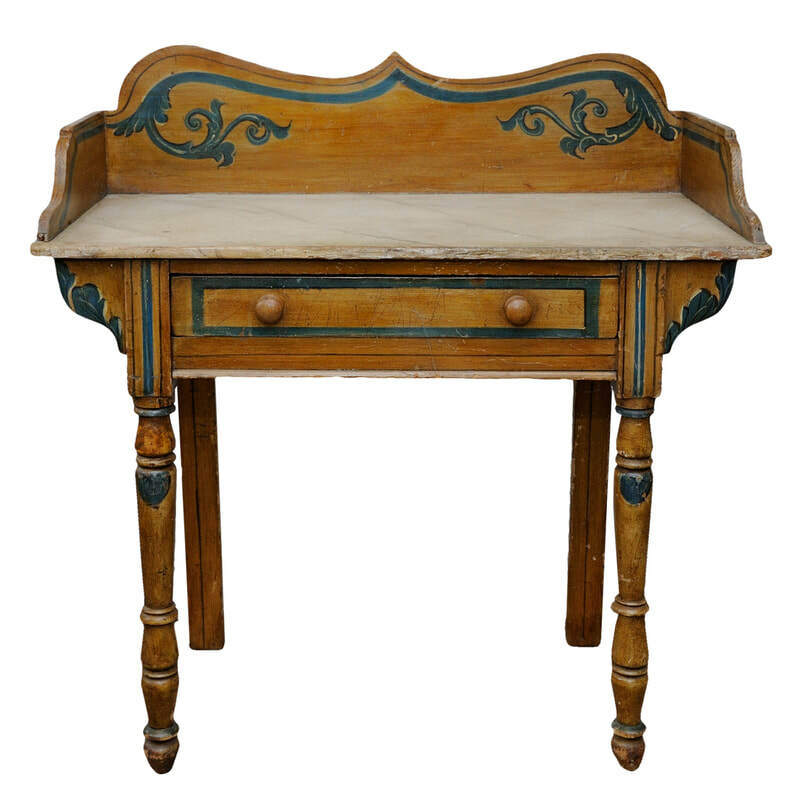 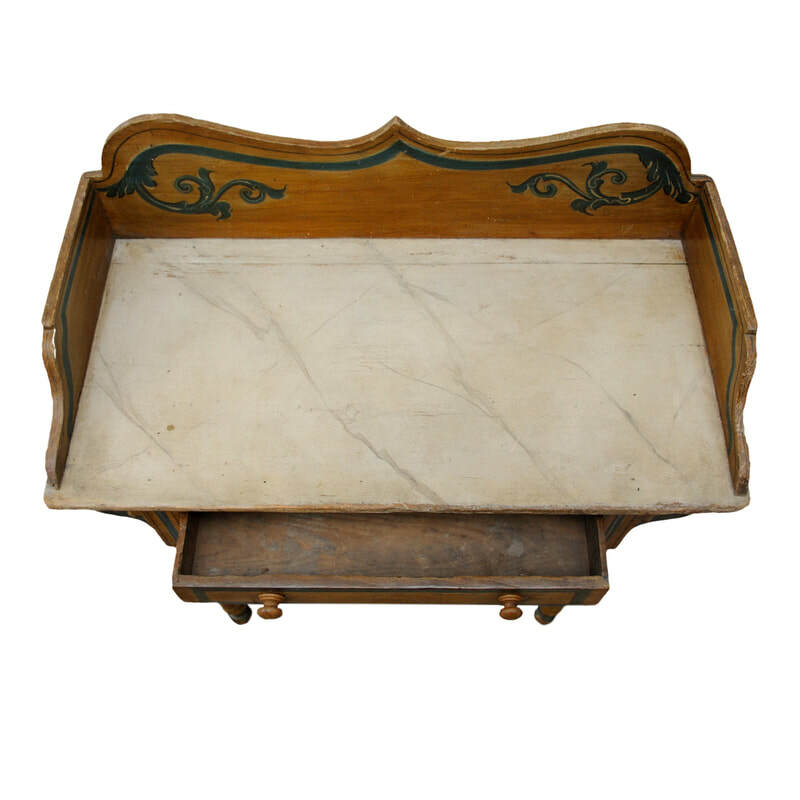 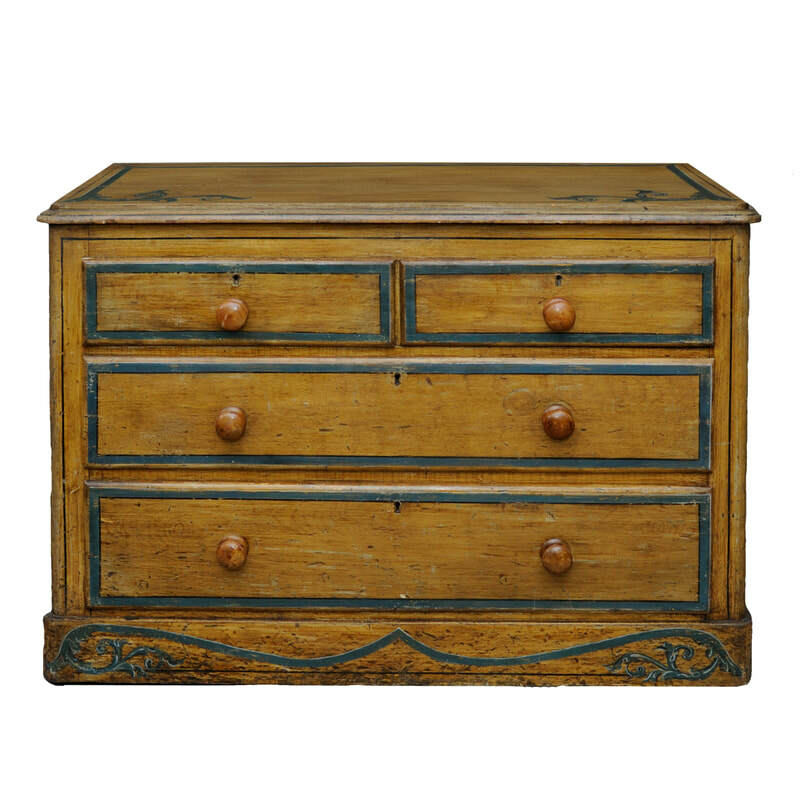 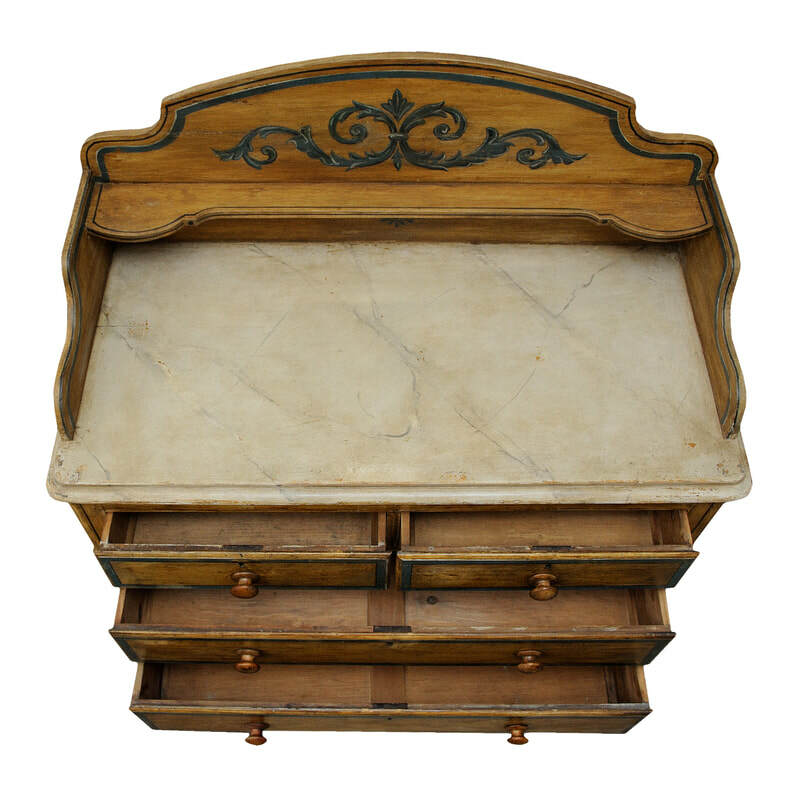 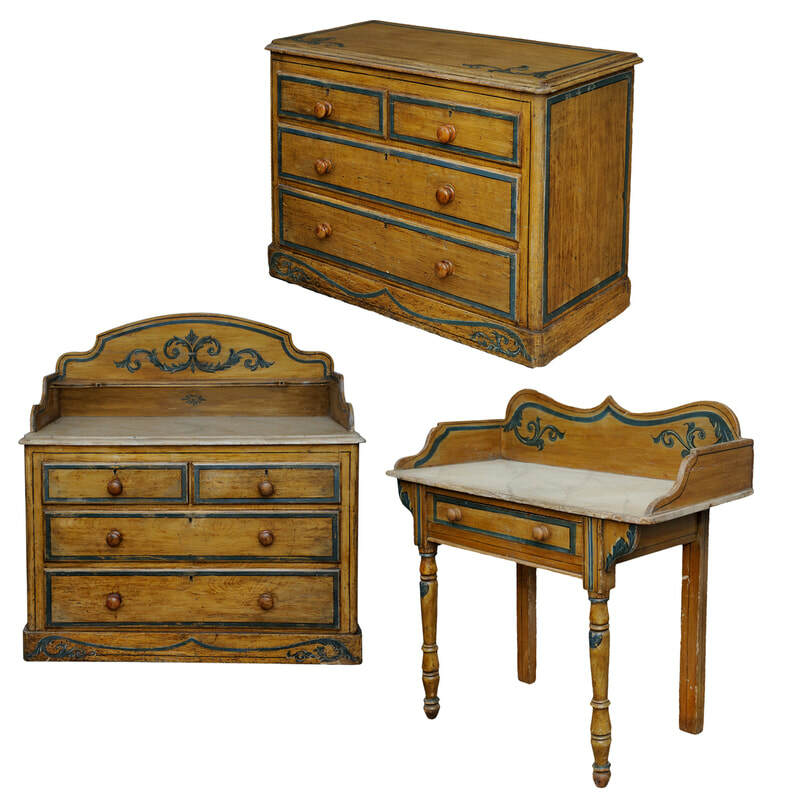 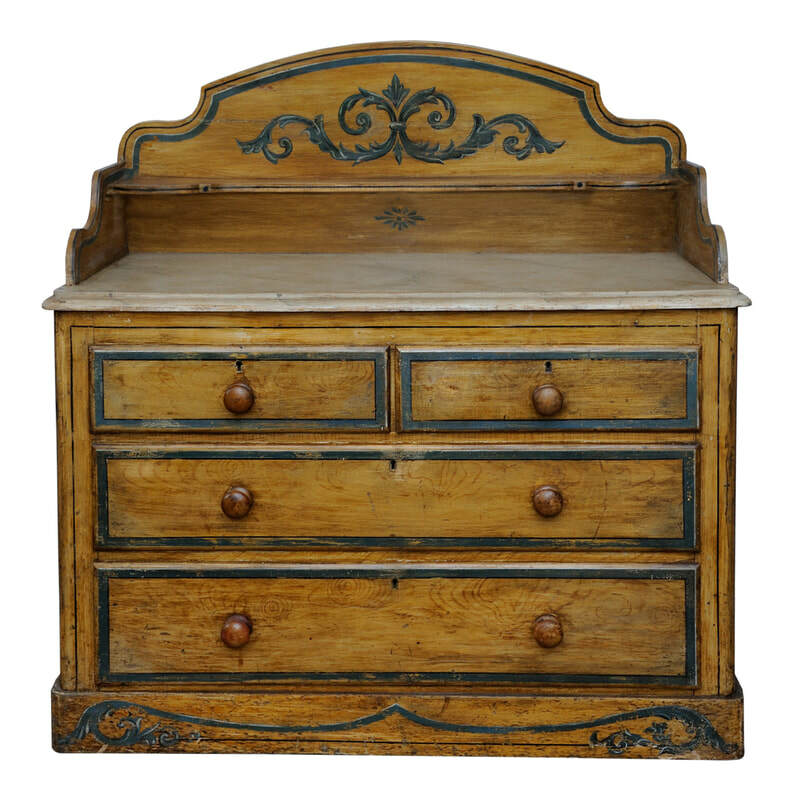 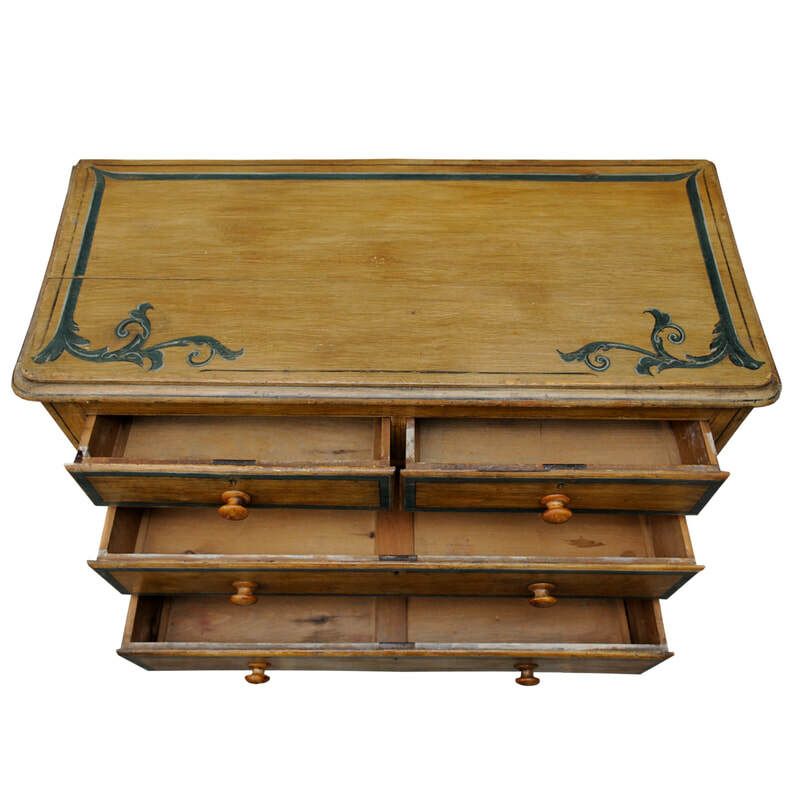 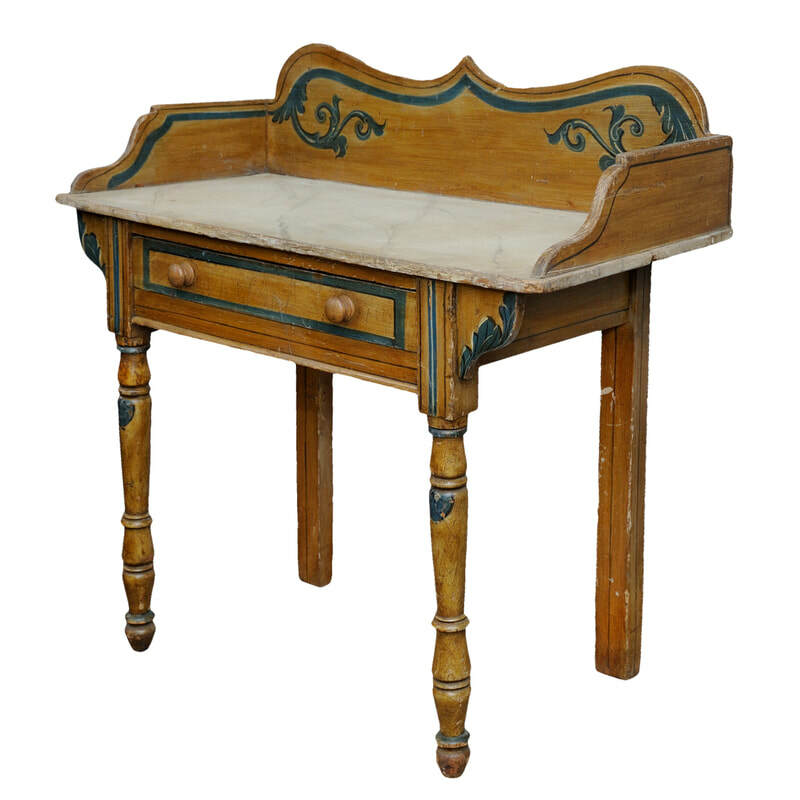 ​A mid 19th Century suite of English painted furniture. 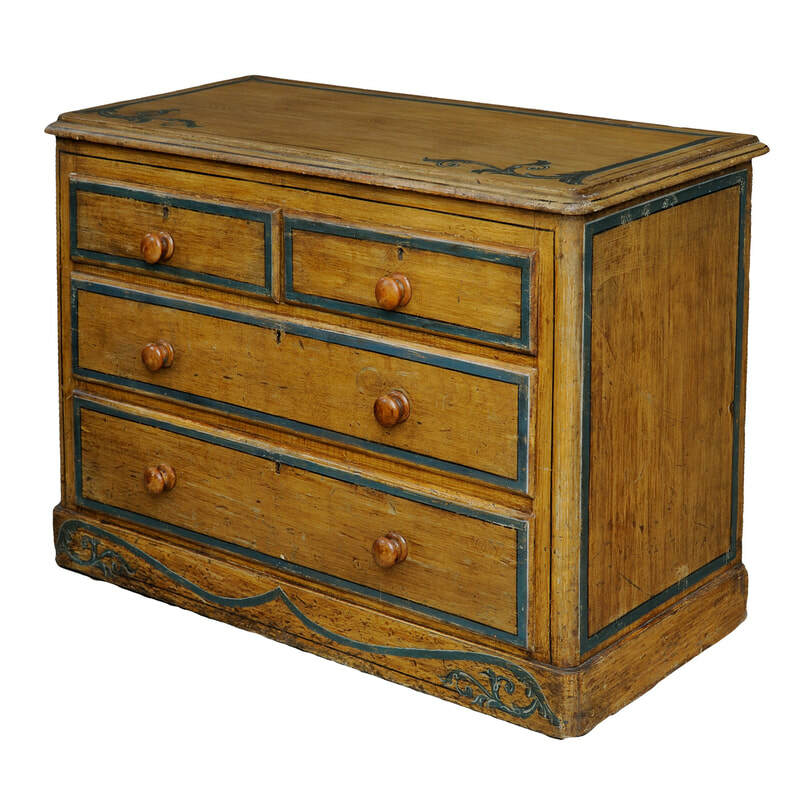 Two chest of drawers, one with decorative splashback and also a separate dressing stand/table. Painted pine retaining original decorative paintwork (lightly refreshed), circa 1860. 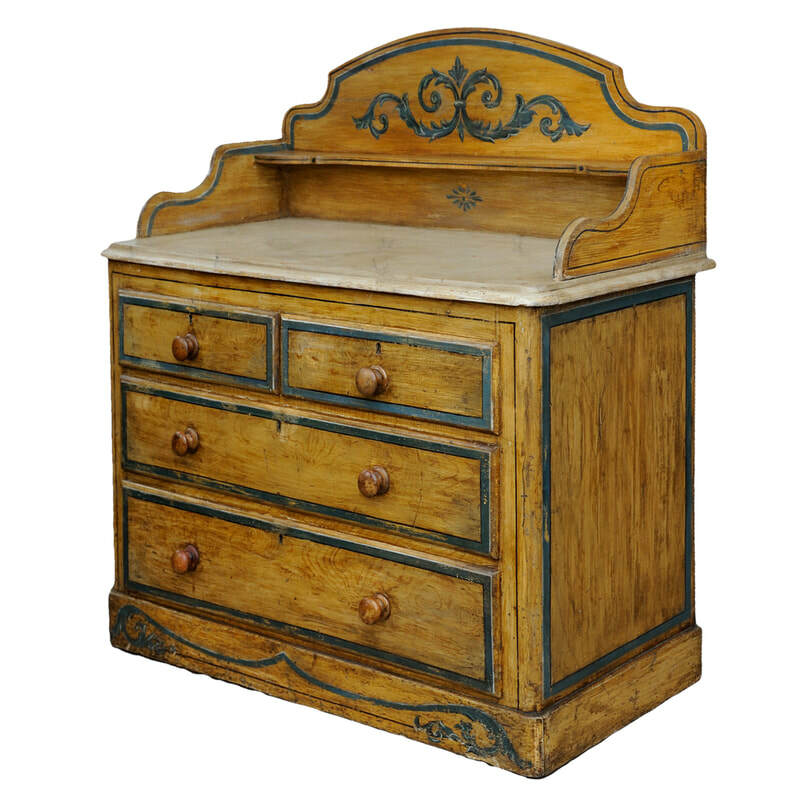 A decorators dream for a spare bedroom or child's bedroom, working wash basin could be set into top of dressing stand.